Wondering why electronics would have such a loop? Have a look at these. In electronics ‘circuit’ means a path between two or more points along which current can flow. Various types of electronic components connected through wires form a common electronic circuit. What is a electronic circuit? A circuit is a path that starts and stops at the same place. We can make electricity work for us only when we connect the components in a loop. If we connect the positive side of a voltage source, to the longer leg of Light Emitting Diode (LED) and shorter leg back to the negative side of the voltage source; electricity, or current, will flow. And we can connect anything that can do some work, in that path where the electricity flows, like we have connected an LED here. What about drawing battery and LED on a paper in the same way they look? Aren’t they easy to draw? And everyone will draw same symbol for battery if there is a standard symbol for battery. We need same symbol for every component so that a circuit drawn in India can be easily understood by someone sitting anywhere else in the world. You have already come across a number of circuit diagrams above. But, why do we have a circuit diagram? A circuit diagram is a graphical representation of an electrical circuit. A circuit diagram can be of two types. A pictorial circuit diagram and a schematic circuit diagram. A pictorial circuit diagram uses simple images of components. A schematic diagram shows the components and connections of the circuit using some symbols. Schematic (shh-ki-ma-tik) Circuit Diagram – A schematic circuit diagram is the most common method used to depict an electronic circuit. All the electronic components here are represented by their symbols. Let’s learn about two special cases of circuit: short circuit, and open circuit. Knowing about these will tremendously help while you’re troubleshooting your own circuits. Are you wondering why does a short circuit cause fires? To answer this first answer this question. Would it be easier for you to run with your school bag on your shoulders or without it? Obviously, it will be easy to run without the bag. Similarly, in an electronic circuit, whenever the two terminals of a battery are connected without any load in between them, it means the current has nothing to slow it down and it can move so fast that it starts to get hotter and hotter until it burn the circuit. The heat generated in a short circuit can be so high that it can lead to fires. 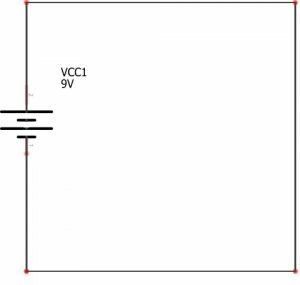 While making things with electronics it is absolutely necessary to make sure that there is no short in your circuit. Else, something might get damaged instantly. So always double check when you make your connections. Whenever the wire in an electronic circuit is broken, it is called an open circuit. It is an opposite of short circuit. An open circuit is not dangerous, as current cannot flow through it. It’s only harm is that the components does not work in an open circuit. 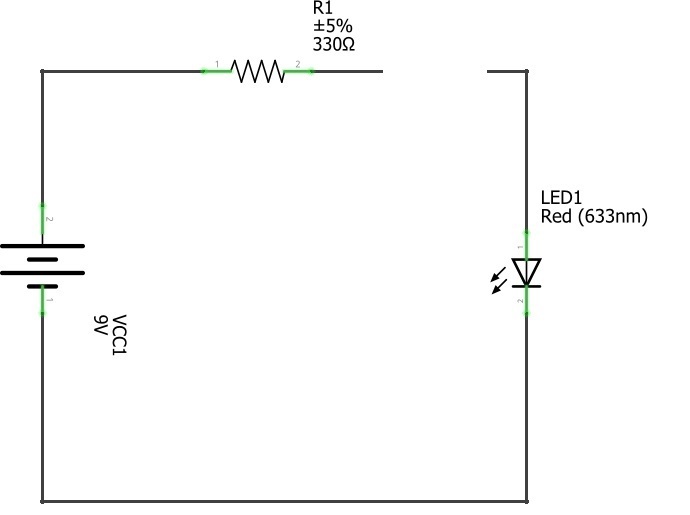 The LED in the above circuit will not glow because the circuit is open.